Summer parties aren’t quite the same without classic chips and dip. 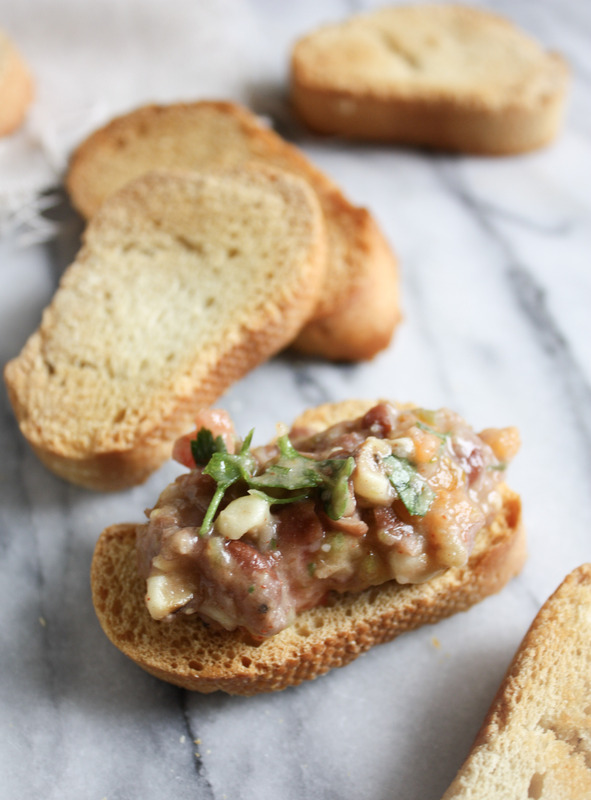 Yes, they’re staples and one of the easiest appetizers to grab for a last minute party, trip to the beach or boat ride on the lake. They’re also the kind of easy summer bite that you can make yourself. Homemade salsa and dips always taste better when they’re homemade don’t you think? 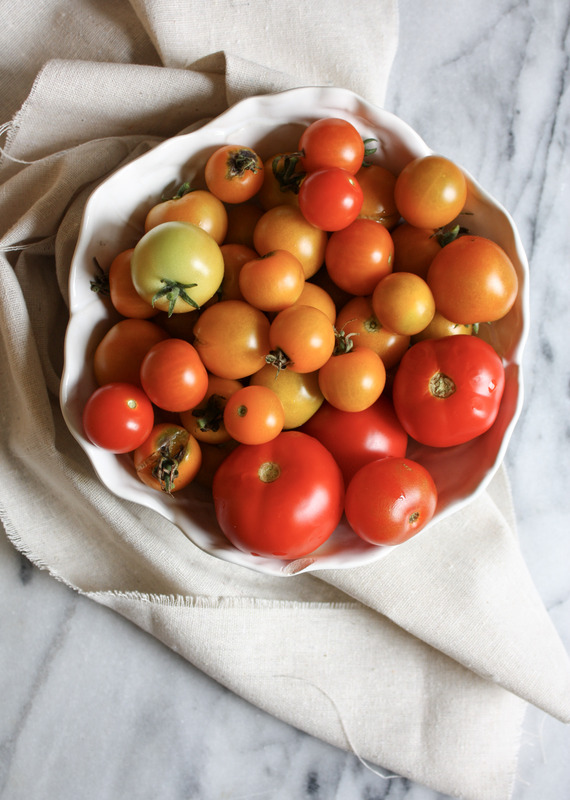 Whether it’s simply chopping up tomatoes for a salsa or pureeing chickpeas for hummus, and even even just baking off tortillas for chips, making homemade summer appetizers is the easiest, and most delicious thing you can do. 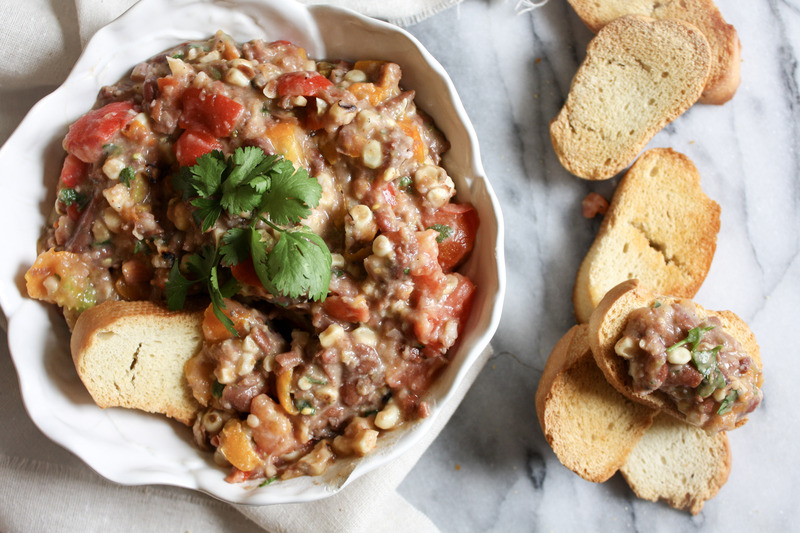 So to keep with our theme of effortless recipes for a laid-back late summer party, today I’ve got a Roasted Corn Black Bean Salsa that will become one of your new go-to dips! Have you heard of Stonewall Kitchen? Well you should, they offer a great selection of speciality foods, and kitchen products. 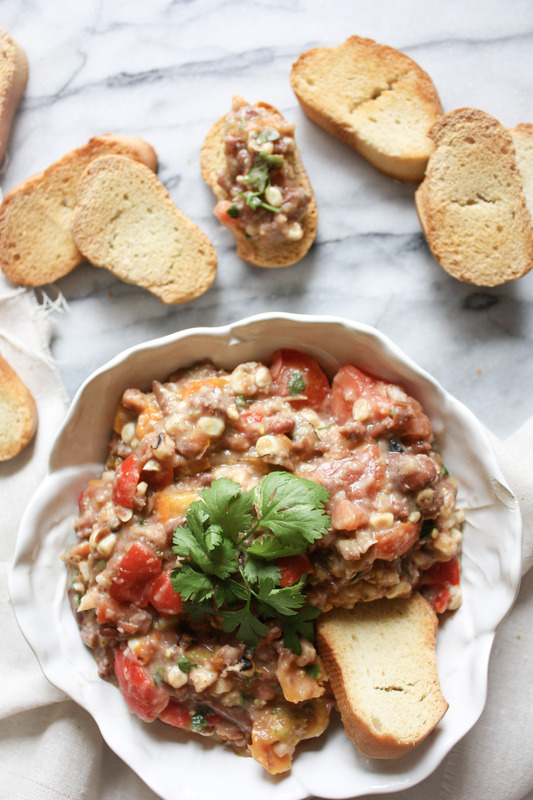 It’s no surprise they’ve become so famous, because their Black Bean Salsa is just amazing! 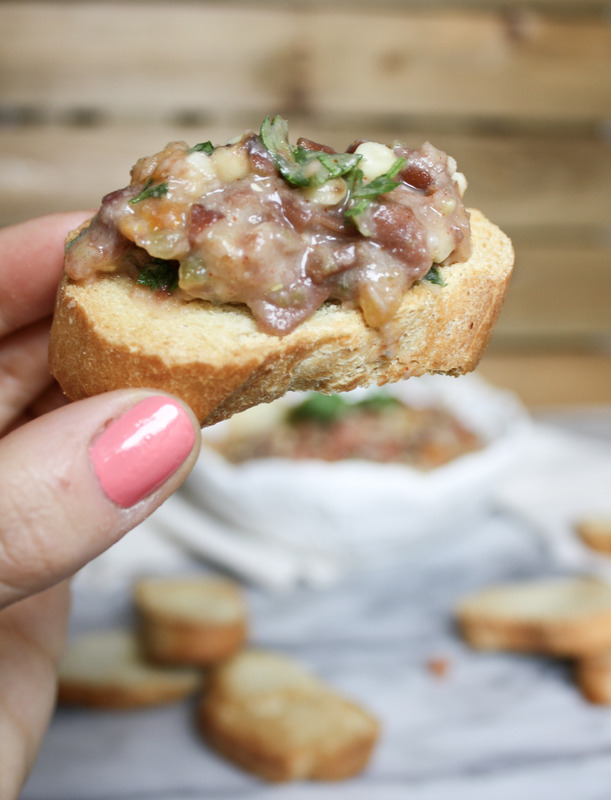 Yes, I’m calling a black bean salsa amazing. I received a jar of their bean salsa in a gift basket and by the first bite, I couldn’t get enough. I know, who raves about a bean dip, but this was by far the best I’ve ever had. I just knew I had to recreate it myself! Stonewall’s salsa is distinctively vinegary and tangy, the kind of subtleness you’d get from pickled vegetables. It’s really the flavor that hooked me. 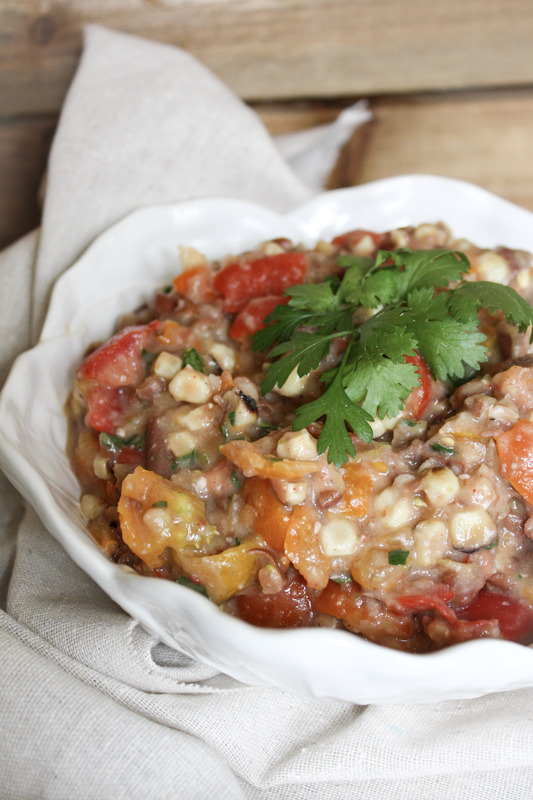 It’s definitely their spicy corn relish that gives it the perfect kick, it makes all the difference. And if you want to take the extra step in making a corn relish, please do, it’s worth it, but I’m keeping things simple remember. Like this potato salad and grilled cauliflower, you can, and should, make this roasted corn black bean ahead. The longer the salsa sits in its limey vinegary ingredients, the better it gets! Seriously, each day this salsa was tastier. But if you’re making this for your late summer party, I recommend doing it a day or two before you plan on serving it. 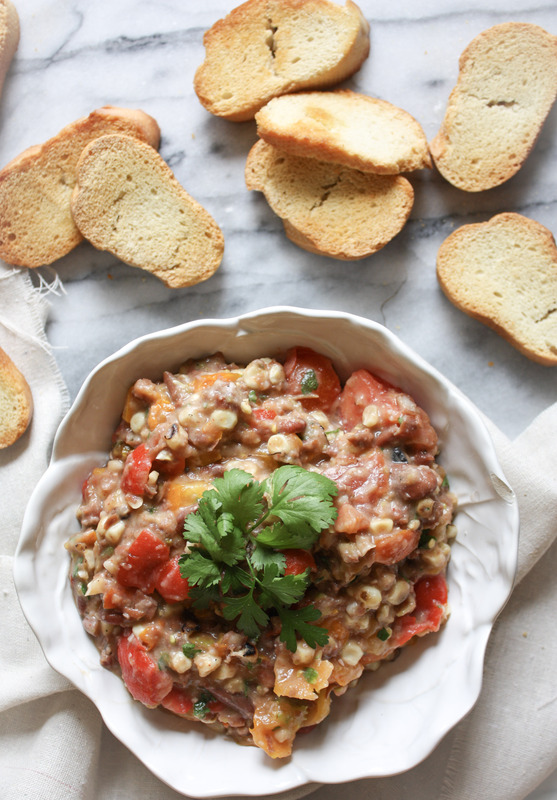 Of course, if you’re making this roasted corn bean salsa to enjoy whenever you’d like for the rest of summer, I’m sure it will be to hard not to eat it right away. 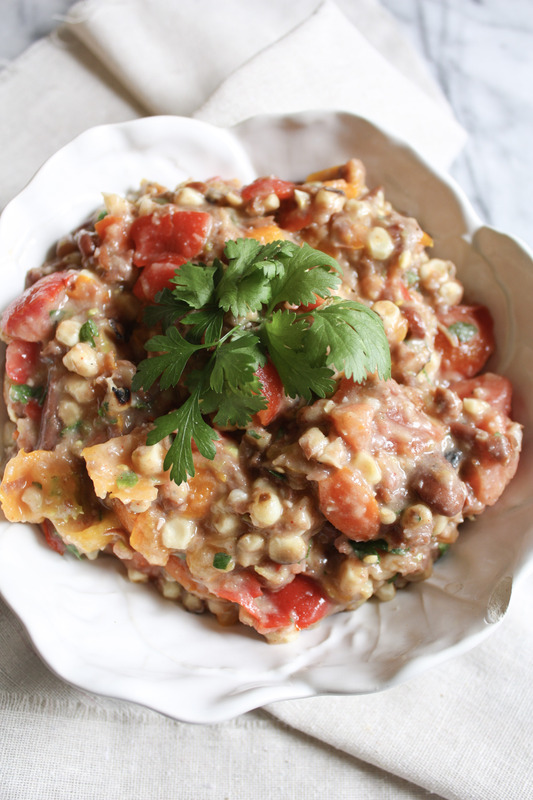 And like almost any effortless party recipe, you can swap in your favorite veggies. 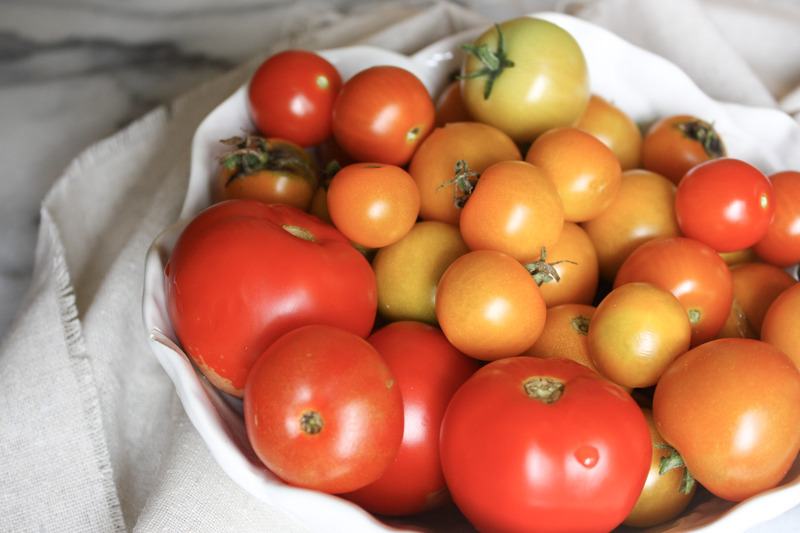 So if tomatoes are not your favorite, although I don’t quite understand those who don’t like tomatoes, go ahead add in red peppers or even grilled eggplant. 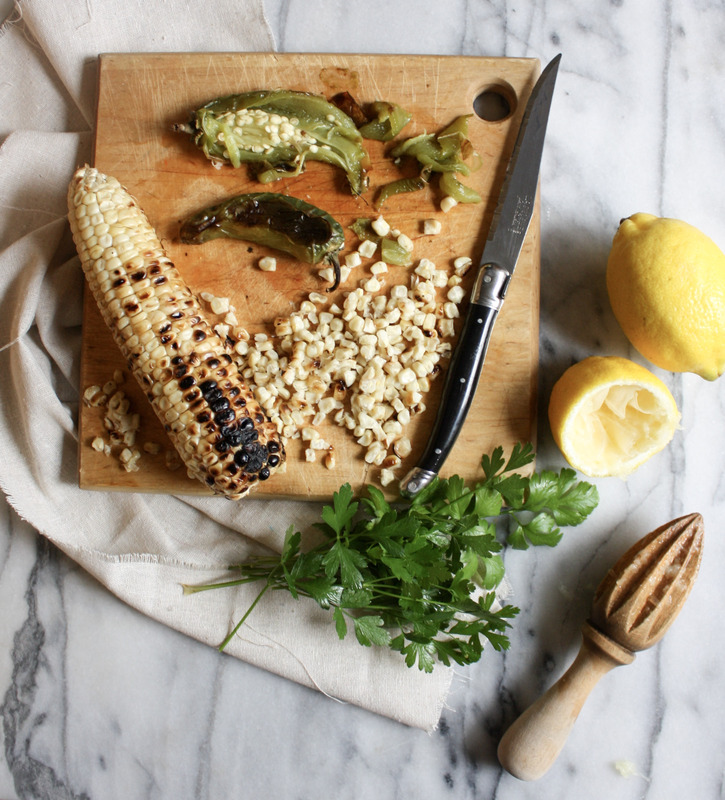 But the grilled corn, it’s a must! This salsa is great for entertaining all year round, like football Sundays, but it’s especially perfect when enjoyed leisurely with friends at a chill late summer party. Don’t forget to stop by the blog tomorrow to get the menu and party inspiration you need for a laid-back Labor Day weekend! 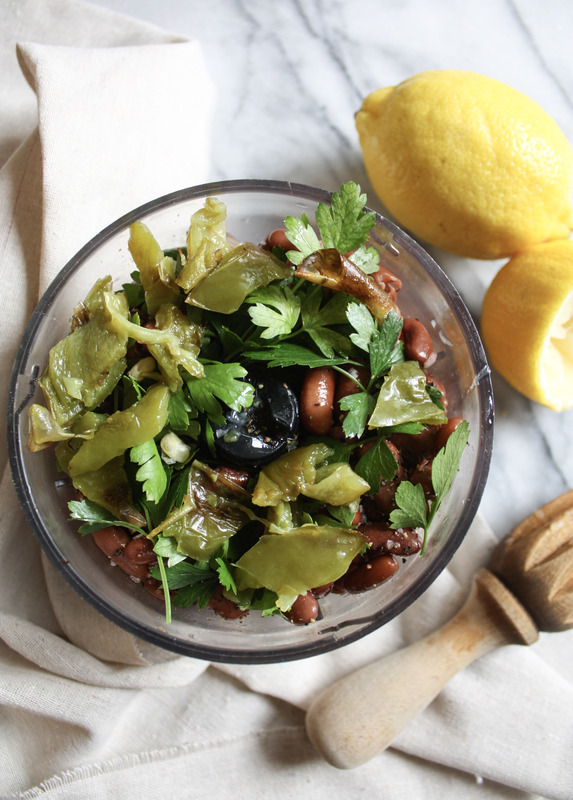 This roasted black bean salad is quintessential summer. 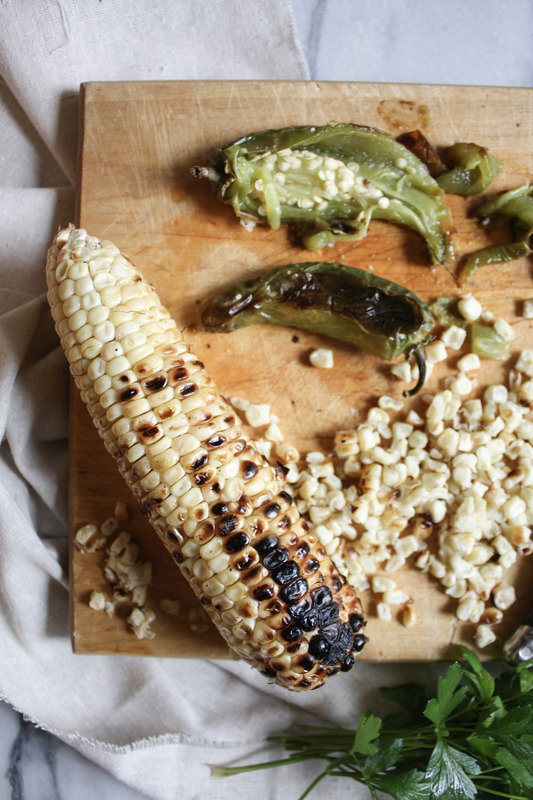 Prep the corn and jalapeño, by grilling until cooked and allow to cool. Place all the ingredients in a in a blender and pulse a few times just until blended. Don't blend too much, you want to keep the ingredients in larger pieces. Place in a jar or air tight container and refrigerate. Serve chilled or at room temperature. Can be kept in an airtight container, refrigerated up to a week.